After 26 posts in 30 days, returning comments, reading my eyes bleary, just when I thought it was safe to leave the blogospere--dun, dun, DUNNN! It's time to cohost the IWSG! Yay? So did you do the A to Z blogfest this year? Did you miss the linky list? There will be a reflections post on Monday, May 8th to discuss how things went. The IWSG question for May is a lively one: What is the weirdest/coolest thing you've ever had to research for a story? On the serious side, a rare complication of untreated strep throat can damage a person's heart valves necessitating surgery. I used this tidbit in the novella Heart Stopper. This is a big month for the IWSG! Be sure to check out the new anthology Hero Lost: Mysteries of Death and Life. Congrats to the authors: Jen Chandler, L. Nahay, Renee Cheung, Roland Yeomans, Elizabeth Seckman, Olga Godim, Yvonne Ventresca, Ellen Jacobson, Sean McLachlan, Erika Beebe, Tyrean Martinson, and Sarah Foster. This is another regular blog hop that I missed while floundering through the hustle and bustle of the A to Z blog challenge. 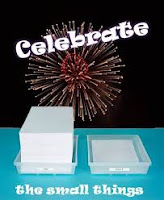 If you enjoy celebrating anything and everything, no matter how big or small, stop by and see Lexa Cain. She, along with cohosts, L.G. Keltner and Tonya Drecker, have created a super fun community. We had buckets and buckets of rain on Tuesday, so I didn't bother putting out new birdseed for the birds and squirrel. Then my husband spots this poor little squirrel scooping yesterday's leftover seeds out of a dish full of water with his paws. Please, sir, can I have some more? After we shot this video, I took out a dry pan of seed and a bowl of peanuts and put them under a tarp for our waterlogged Oliver Twist. The squirrel and several buddies feasted happily in the drizzle while our cat drooled at the window. Please, mom, can I have a squirrel? Do you feed any critters around your yard? Thanks for the anthology mention! I took this year off from A to Z Blogging, but I enjoyed it in the past. Didn't do the A-Z but did do NaPoWriMo (30 poems in 30 days) challenge. And nice like to eat parts of green cars? You think the auto industry would mention that before purchase. Loved your sense of humor when describing past research projects. "...Turns out environmentally friendly "green" cars are absolutely delicious to Mickey and his friends..." That's a vital fact to keep in mind. Oh I had no idea about that complication from strep throat. Almost glad I didn't know that when my daughter was younger. I would have worried more. I bet you're great in pub quizzes! Edible car parts sounds interesting--and strange. I can understand not firing guns close to people's houses. And you could get shot if doing it. I never heard of edible car parts either. Research offers a bounty of tidbits of the unknown... I did know about Strep throat. My daughter had strep throughout her body, caused havoc. Tamara, thank you for co-hosting. I had no idea about edible car parts! Dang Mickey and his band of scavengers. I hope you enjoy co-hosting! Edible car parts... Now that IS interesting! And I could have hooked you up about hunting regulations in Maine. ;) Thanks for co-hosting! I completed A - Z this year, but got off a bit easy with my National Poetry month theme and contributing poets helping out. Still an endeavor not to be taken lightly! Thanks for co-hosting and congrats on completing A-to-Z! Funny how Mr. Squirrel shakes himself and flicks his tail to try to get rid of the water. How nice of you to give him and the others some non-water-logged seeds to eat. You're such a sweetie! I remember the bit about the cars and the mice. Big congratulations to our IWSG anthology authors! That is indeed one sad little squirrel. Interesting about eatable cars. One would have to set up mouse traps everywhere! I took April off, first time since the inception of Challenge. Got some stuff done, though, that I needed to get done. You are a blogging beast! Wow--thanks for adding co hosting to your reponsibilities. 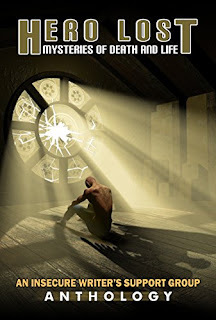 Congrats on the story in the IWSG anthology. And yes, researching can be time consuming, but a great way to avoid writing the story!! That's my problem. Love your fun blog post. Thanks. I stopped short at 'edible car parts,' and then was cracking up when I read what you meant. Research is never dull, I'll give it that! I love reading all the items researched! What a great question for this month. Congrats on finishing the AtoZ challenge! Lots of cool things you researched! I love that part of being a writer. Congrats to all the authors in the anthology. It's fantastic! :) Thank you for co-hosting this month. A to Z and co-hosting back to back, you must be Superwoman! Thank you for doing it. I didn't know that about strep. That's scary!! Or about the car parts. I hope the brake lines aren't made of edible materials. I loved your interesting tidbits of research--especially about the cars! I didn't know that. I'd be interested to see how you worked these into your writing. Thanks for co-hosting this month! Huh. I never thought about such edible car parts and how "green" cars are delicious to mice. I don't feed any from my hands but if I do leave nuts or berries around for them to eat. Thank you for co-hosting this month. Whew. I'm glad the challenge is over. It was tiring for me this year. Your posts were really fun and I enjoyed them. No, Tamara, I don't feed squirrels by hand either. But my husband gave a little red squirrel some pretzels when we were hiking in the pouring rain. He figured if the poor saturated creature came out to see what we were doing, he at least should get a reward. 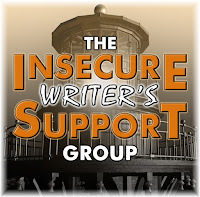 Thanks so much for co-hosting the IWSG May question. I've fed a few pigeons by hand, does that count? Glad you survived the challenge. And doubly happy your kids haven't been abducted by aliens. Thanks for co-hosting. The story of your fall and the wait to be found is terrifying. No wonder you feel vulnerable. I hope you all the best on your recovery. Nothing grosser than wet sunflower seeds. That squirrel was desperate. Crawling on plastic above the floor just seems so odd. Edible car parts? Good to know. I have a history with mice. Lucky day for your squirrel visitor and friends :) You were brave to take on hosting this after the a-z and Congrats to all the anthology writers! I'm not so sure about that agoraphobia therapy. Seems like that would cause the kids to afraid of heights, not cure them. Thanks for co-hosting this month's IWSG post. What a fascinating selection of research topics. I mean: edible car parts. My imagination is stirring. But you made it through the AtoZ with those colors flying! Can't do everything, and I'm proving that daily. Thanks for hosting today! Editable car parts. I would never have thought of that one. Cool. Thanks for hosting this month. Thanks for co-hosting this month. I totally missed the A-Z this month, outside of the blogs I read through digest. I love the tug of war at your house; feed the critters but don't let the cat you love eat them in return. Hehe. Thanks for sharing. Congratulations on completing the A to Z Challenge, Tamara. I have never taken part in it, because I've been traveling a lot since I joined the IWSG. 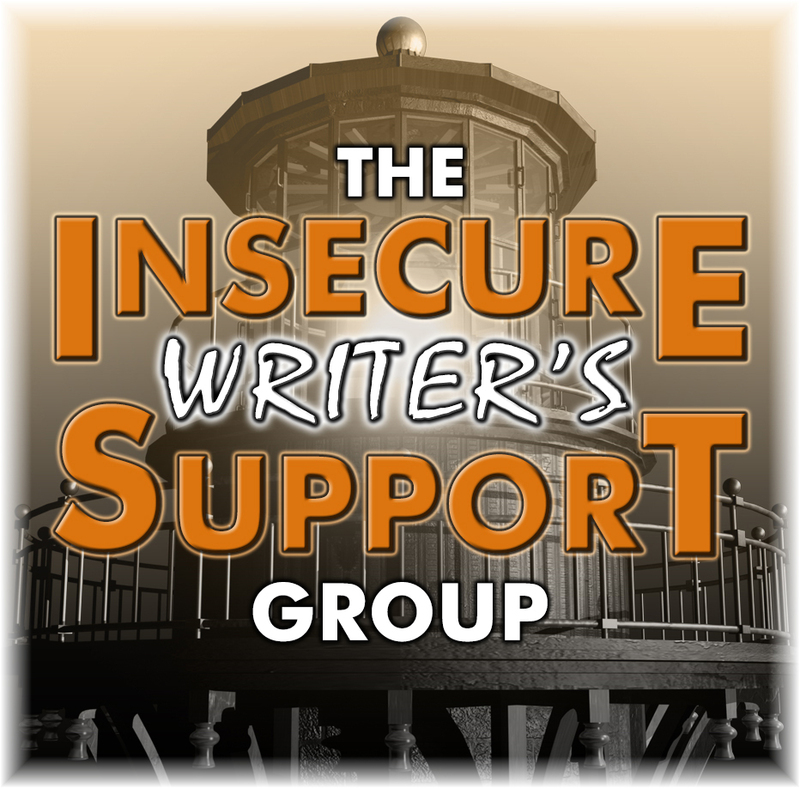 Thanks for co-hosting the IWSG this month. It's always a fun thing to do. It's amazing what interesting things you can find when doing research for a story. Happy writing in May! Bravo on finishing A-Z. I am always so impressed that people can do it. I love visiting the different blogs and seeing the themes and posts. You have researched some interesting topics. Scary about strep! I did know that about strep throat. It can also do other damage in the body if left untreated. I wanted to visit more of your A to Z posts. They were so interesting but I was on tight deadline for my next book. Congrats to you. No critters feeding here - we have had rain every day, forever, it seems. Interesting weird/cool points - the acrophobia study is a new one for me. I am in awe that you finished the A-Z challenge - I only managed the letter D! Cohosting right after the A to Z? I think you'll need a nice nap after today. That's really interesting about the mice. Never would have thought of that. It's nice that after this you'll have time, right? That's what's best about May. The blogs slow down. Great post! You've been slammed. Thank you for co-hosting! I think of Blondie's song Rapture about eating cars. I love the random things we get to research as writers. I once had to look up various types of knots, although most of my research is into symbolism--of gemstones, of plants and trees, etc. It's always a fun time. Your post also reminded me that I'm thinking of putting a bird feeder in the backyard this year. The kitties will enjoy watching the birds--it will give them something to do, and the birds will have plenty to eat. Thanks for the reminder! I loved the tiny 'yay'! Hope you haven't totally exhausted yourself. Oh my gosh, that sweet little squirrel. You guys are so kind. And now because of Stephan's comment I have Blondie's song in my head. haha Thank you for co-hosting. I remember you writing about your rat research. That definitely is dedication to your craft! Love the intro "Dun, dun, DUNNN".. Environmentally cars make the mice happy, who woulda thunkit?! I'm all about helping the environment, go to my local thrift shop and drop off all the clothes and items I might normally throw away. I did not do the A-Z challenge, but I'm impressed by everyone who did. It's so intense. But I'm sure it really stretches the mind muscles and writing muscles. Congratulations on doing it. Congrats on participating in the A to Z Challenge. What a accomplishment Loved your story about the waterlogged squirrel. Thanks for co-hosting this month. Aww, thanks for sharing nature with us! And thanks for co-hosting today! I did it once & definitely remember thinking Alex must've cloned himself at some point to keep up that level of communication all the time! Edible car parts, huh? That's pretty interesting. And I'm pretty sure I'd have freaked out as infant if I'd been part of the study. Edible car parts? FINALLY! Something I'm not tempted to eat. I'll leave them for Mickey and friends. I'm a little sad I forgot to see what the question of the month was when I did my IWSG post. I write horror. Soooo many good things to share. But it was probably actually a fantasy I wrote that had the most interesting research. Speaking of critters eating cars, we have problems with bunnies eating brake lines around here. Apparently, some are made with a soy derivative or something? I don't recall what it was, but it's certainly not safe. My wife has taken to feeding the rabbits that frequent our yard. A couple of days ago we were watching a baby bunny come out of the den for the first time to sniff around. Then a raven came down, snatched up the baby bunny and carried it away. Are you serious?! That's horrible. Bad raven. Ha - edible car parts! That's funny, and painfully true when chewed up wires and hoses cost more to replace than furniture these days. My intention is to feed a myriad of Quail but it does draw quite a few other (unwanted) desert animals. I used to think Roadrunners were the meanest until packs of Javelina began to circle my jeep whenever I return from the store. Not good. Yes, I did the A to Z blogfest this year. Not sure how I felt about the missing the linky list. Since the infants cannot talk (I'm assuming this...) how would they contribute to the acrophobia study? I suppose their reactions would be monitored. Just wondering. We do feed critters! We have some semi-tame squirrels that will take peanuts from our hands, and lots of birds.